Prices: See below for more details..
Recharge your inner light on The Sol-to-Soul Yoga Retreat in the vibrant jungles and sandy beaches of Tulum, Mexico in April 2017. Join Michael and Katrina on the journey of your inner sun from the mystical, tropical Pyramids of Chichen Itza to the magical, healing waters of the Caribbean Ocean. Where the Sol meets the Soul! Ancient teachings from around the world speak of our inner sun as the home of our spiritual heart or heart chakra, including the Yogis of India and the Mayans of southern Mexico. 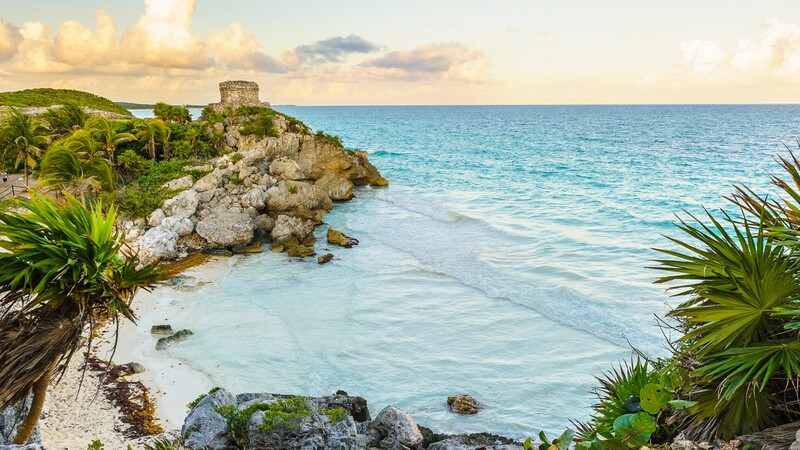 This retreat will provide a road-map on how to navigate your spiritual heart by using the ancient calendars, astrology, ceremony, transformational teachings and healing practices of the Mayan and Yogic paths. We will spend 2-Days in the Jungle and 5-Days at the Beach. 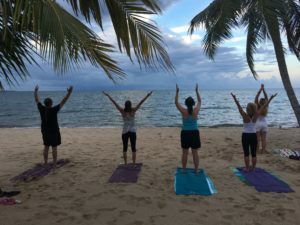 Each of these days we will recharge our mind, body, and hearts with our yoga practice, guided meditation, astrology, cosmology, pilgrimages to sacred waters and sacred sites, visiting local culture, playful beach time, good food, a sacred and safe community, and relaxing in the comfort of our uplifting accommodations. Breakfast provided at Mayaland Hotel. 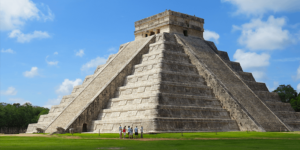 Take a guided tour of the sacred site of Chichen Itza with Michael (more info below). 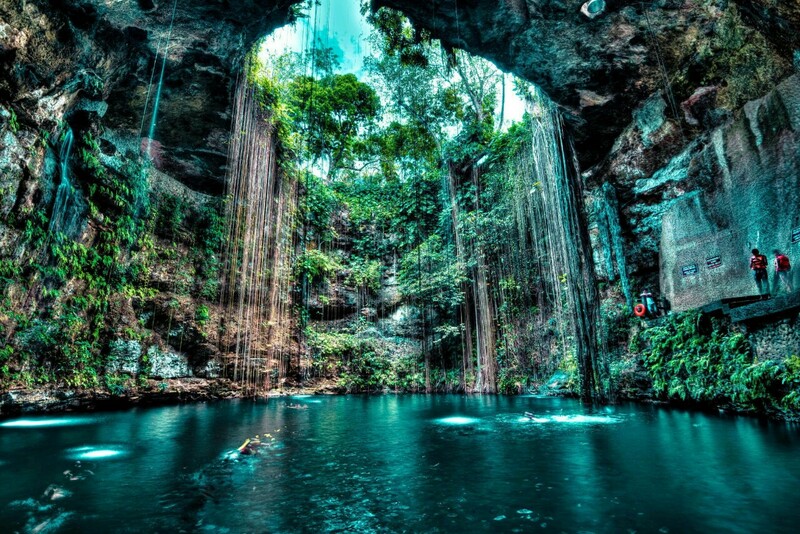 We will open with a ceremony of the heart at the Sacred Feminine Cenote. 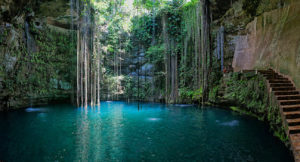 Follow-up with a tour and swim at the stunning Ik Kil Cenote. Restaurant lunch in the village of Piste (Attendees pay for lunch) Travel in the Karma Yoga Bus to our Beachside Villa in Tulum. Dinner provided at Villa. Morning beachside meditation and yoga class. Breakfast at Villa. 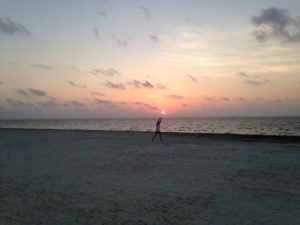 Free time (beach, snorkel, kayak, read, swim, etc…) and personal sessions for Western Astrology and Mayan Birth Chart readings with Katrina and Michael. Lunch in the garden dining area. Afternoon free time. 4pm Gentle Yoga. Dinner and evening gathering of the group. Morning beachside meditation and yoga class. Breakfast at Villa. 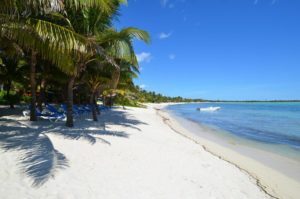 Free time(beach, snorkel, kayak, read, swim, etc…) and personal sessions for Western Astrology and Mayan Birth Chart readings with Katrina and Michael. Lunch in the garden dining area. Afternoon free time. 4pm Group astrology and heart chakra reading. Dinner and evening gathering of the group. Morning beachside meditation and yoga class. Breakfast at Villa. 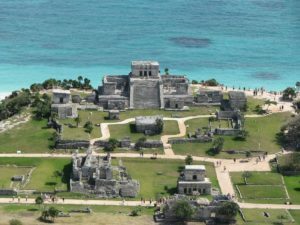 Excursion to Tulum Ruins. Guided tour of this sacred site of the Iguana and learn of it’s connection to Atlantis. Beach picnic in Tulum and visit to local town. Afternoon free time. 4pm Gentle Yoga. Dinner and evening gathering of the group. Morning beachside meditation and yoga class. Breakfast at Villa. 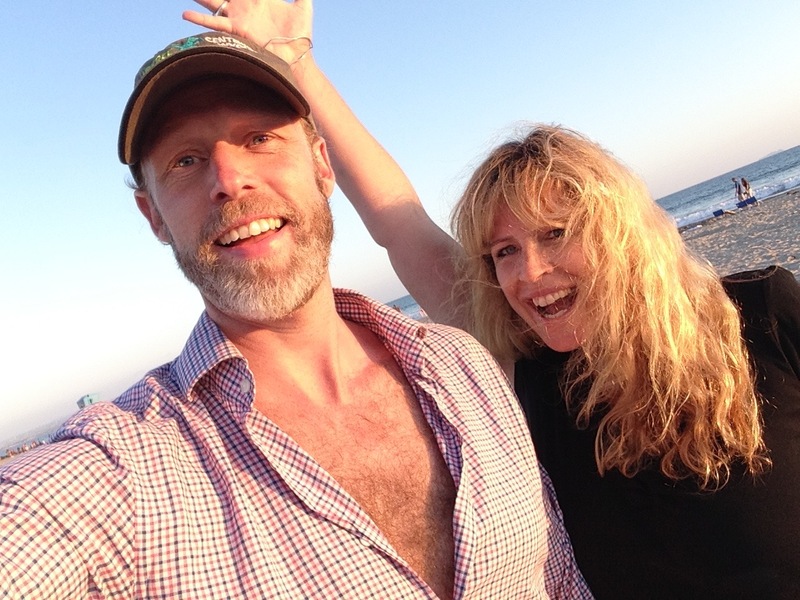 Free time(beach, snorkel, kayak, read, swim, etc…) and personal sessions with Katrina and Michael. Lunch in the garden dining area. Afternoon free time. 4pm Guided Shamanic Journey Session. Dinner and evening gathering of the group. Closing cermeony. Morning beachside meditation and yoga class. Breakfast at Villa. Depart for Cancun and Airport drop. Attendees are welcome to stay longer in Mexico. We will deliver you to Cancun on Friday. 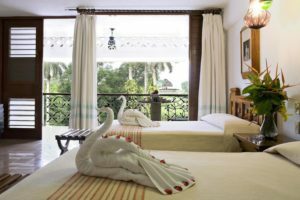 The Mayaland Hotel & Resort is a creation of the Regal Yucatán, built in 1923 and sits directly within the sacred city of Chichen Itza. Its grand front doors face directly at the ancient Mayan Observatory Temple. The Hacienda-style architecture of the hotel and bungalows are surrounded by 100 acres of lush tropical gardens, bird sanctuaries, and hidden pyramids yet to be excavated. We will spend our first night here, after a 2-hour private van ride from the Cancun airport. Attendees will stay in luxurious rooms with 2-double beds and views of the sculpted jungle gardens. 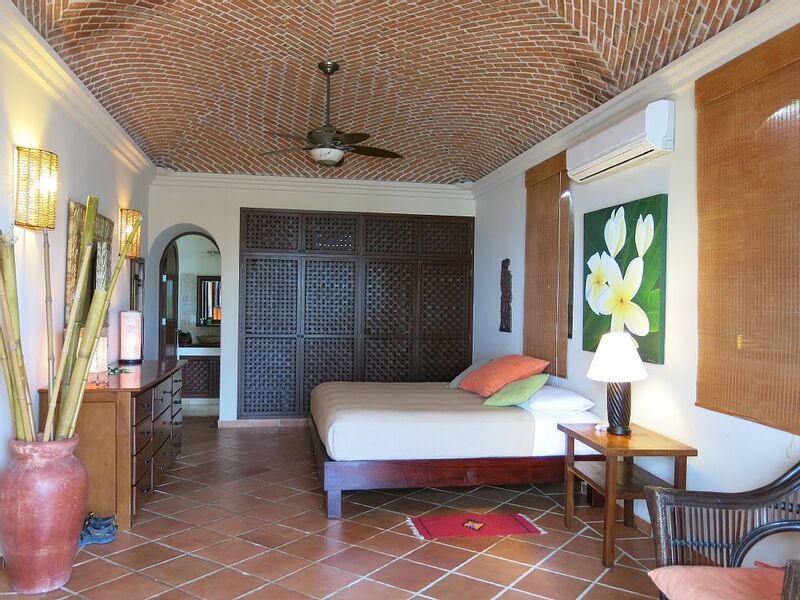 The resort has a 3 restaurants, swimming pools, a spa, and local artisan crafts for sale. 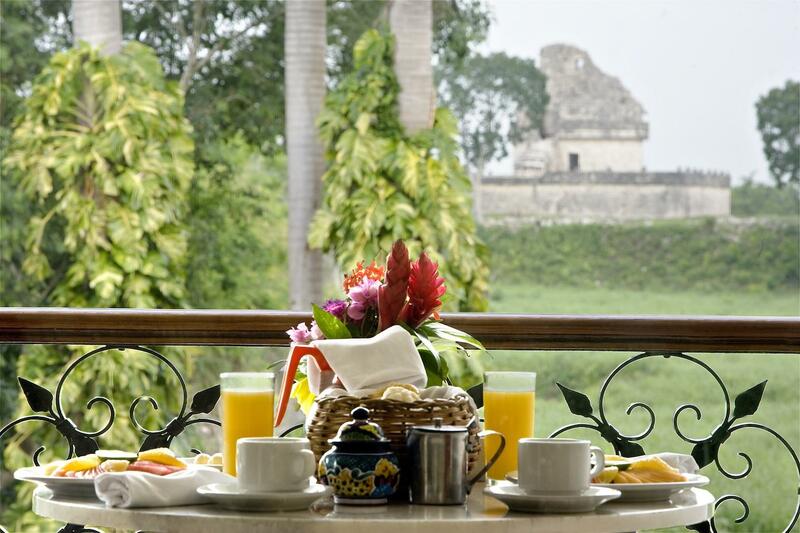 Breakfast is included with your stay at the Mayaland and will be served before our tour of Chichen Itza. Located at the heart center of the Yucatán peninsula, Chichen Itza is an extraordinary site of astronomy, spirit, science, and wonder. Used as a “sacred university” to activate and open the heart chakra, Chichen Itza is deeply connected to the sacred energies of Mother Earth and the cosmos. Our group will receive a special tour and initiation of the site from Michael who has been studying and apprenticing with Don Miguel Angel Vergara, a Mayan Priest, Shaman, PhD doctorate in cultural anthropology, a member of the council of Mayan Elders, and was a Culture Director of Chichen Itza in the mid 1980’s. Michael will share the sacred wisdom teachings of the Mayan chakras, mantras, sacred geometry, initiations, sacred art, and healing practices that are encoded in the pyramids and energy of Chichen Itza. Michael will also share how the ancient teachings of Mother Earth and the Cosmos are connected to a common root for the Yogis, The Maya, and many other wisdom traditions. We are One Earth, One People. Located only a few kilometers form the Pyramids of Chichen Itza, the Ik Kil Cenote is one of the crown jewels of the Yucatán. Used by the Maya as a sacred place for ceremony, cleansing, and transformation, the cenote is an open-sky cavern surrounded by gentle waterfalls and jungle vines. We will visit these refreshing and playful waters for an afternoon swim and a brief guided tour. Use these magical and mystical waters as a fountain of youth to heal your mind, body, and spiritual heart. The Yucatán of Mexico has an incredible energy and vibration pulsing from the jungle, the trees and from Mother Earth herself. It is created by an extensive underground system of rivers, lakes, caves and cenotes that weave and thread through the limestone rocks. These waters create a uniquely “charged” electromagnetic energy and are infused with special healing and transformative properties. These waters also contain very special energy and mineral properties from meteors that peppered this landscape in the last epoch. Nestled between the famous snorkeling waters of Akumal and the white-sand beaches of Tulum, Karma Yoga’s Beachside Villa overlooks the magical, healing waters of the Caribbean Ocean. You will be welcomed into our majestic Villa with its intoxicating views of Solomin Bay, coral reefs, gentle waves, and palm tree lined beaches . This spacious house is complete with an ocean-side pool, indoor and outdoor dining patios, 5 bedrooms, 6 bathrooms, classic-thatched roofs, and our own personal cook, Chef Mauricio. Watch the sunrises over the ocean while relaxing to the sounds of the waves as you peer out over our second story 45-foot covered terrace. There is also a garden with a peaceful fountain for quiet contemplation. The 3-story vaulted, thatched roof living room provides a spacious bungalow, cathedral for relaxing, reading, and communing. Each bedroom suite has a private patio with slatted-French doors that open directly to unobstructed views of the ocean and morning sunrises. From your plush bed, you can enjoy the gentle bay breezes, midnight stargazing, and the soothing sound of the waves. 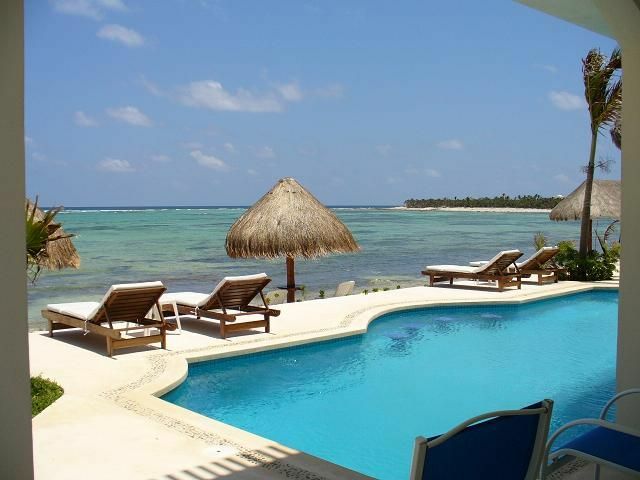 And, you can literally dive from your patios directly into our private pool. Inside each bedroom suite is a private bathroom, shower, personal safe, sitting area, and a refrigerator. There are 4-private bedroom suites with 1-King bed each, and 1 bedroom suite with 2-Queen Beds. See the pricing details for costs and rooming arrangements. If you have questions about alternate possible rooming arrangements please contact us and we will see if we can create it. Located on a raised-deck directly on the beach and overlooking the lapis Caribbean waters, our private pool is a step (literally) from each bedroom patio. The furnished pool deck has cushioned reclining beds and in-pool stools for sitting in the water. 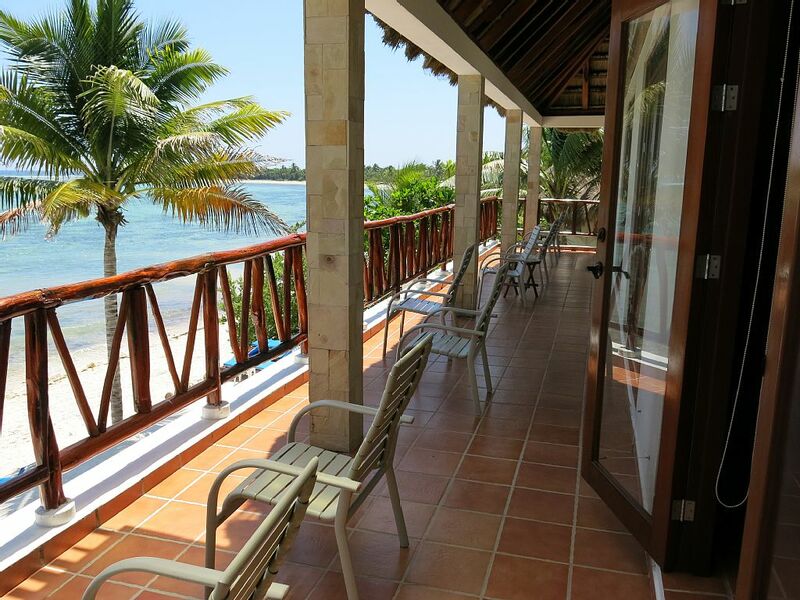 Just a few steps away are the white sand beaches with additional recliners for resting and enjoying the ocean waves. 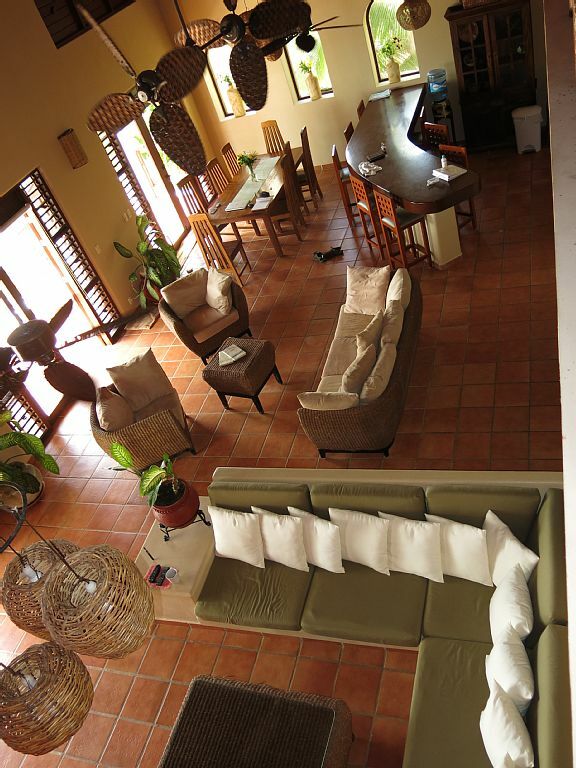 Our Villa also comes with Kayaks, paddles and full Snorkel Gear that you can use anytime. 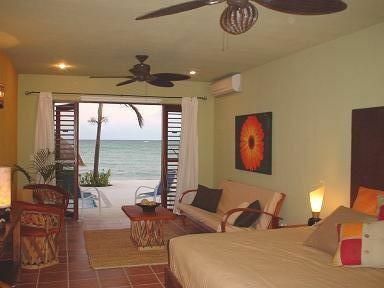 There are Coral Reefs directly in front of the Villa full of marine life to see and enjoy. 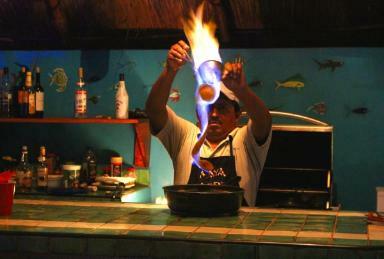 Our Lunches and Dinners will be cook and prepared by Chef Mauricio and his family. If we take excursions, Chef Mauricio can prepare picnic and sack lunches. Mauricio and his family are local Mexican-Mayans and live on site at the Villa in their own quarters. They will also be providing daily maid-service for our Villa and bedroom suites. They will also be assisting with any other needs we may have during our stay. Owner and founder of Karma Yoga Center, Katrina Gustafson is a certified yoga instructor who has been leading retreats and teaching yoga for 12 years. Yoga has transformed her life so vastly that she left her 12 year career as a high school Language Arts teacher to pursue the practice of yoga wholeheartedly. Her teaching style is a heart-centered vinyasa (flow) with an emphasis on the spiritual aspects of the practice. She is a student of internally renown master teacher Saul David Raye. Katrina subscribes deeply to the practice of bhakti (devotional) yoga. She works hard on maintaining the integrity of this ancient practice while bringing it into the 21st century. Katrina is also a certified Crystology Healer and offers Spiritual Counseling and Healing Sessions. She couples her sessions with an innate understanding of Astrology and the stars. Though yoga brings her deep joy, her greatest passion is loving on her two boys Maximus and Boden and her talented partner Michael Shankara. Michael is a certified yoga teacher and Shaman. He weaves together the practices and wisdom of Bhakti Yoga with Mayan Shamanism. Initiated into the sacred wisdom of the Maya, Michael is the sole apprentice under elder, high priest and shaman Don Miguel Angel Vergara. Michael is also a professional musician and former tropical biologist. He will be providing the live music for the yoga classes and mediations, and co-leading the tours of the Mayan sacred sites. Michael is also a certified Crystology Healer and studies western astrology, astronomy, and the Mayan Calendars. He offers energy healings that integrate his shamanic training with the astrology and cosmology wisdom teachings. 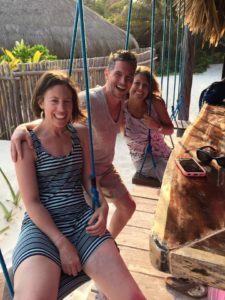 Price includes the Yoga Retreat in Tulum Mexico with Michael and Katrina from Sat-Fri April 15-21 for 7-Days and 6-Nights in the Mayan Riviera and Yucatán with accommodations, transportation, daily yoga and almost all meals. 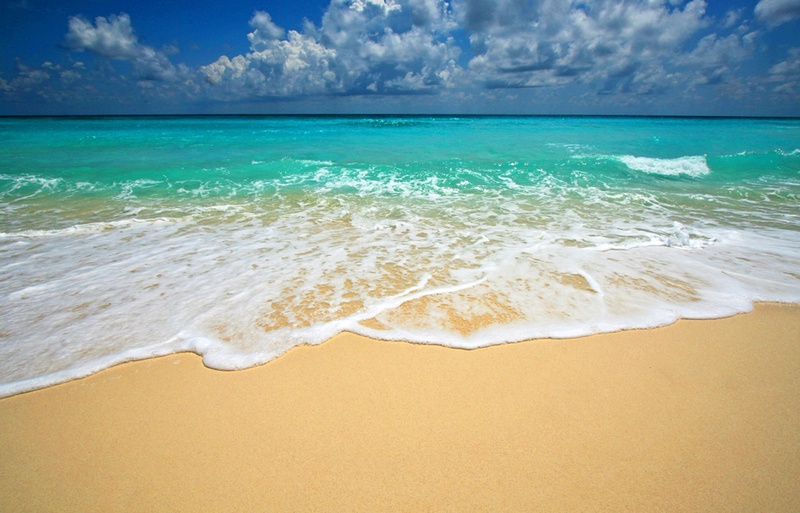 We recommend flying into Cancun either Friday or Saturday April 14 or 15. Most flights from Denver arrive in Cancun by 4pm. Direct flights are just under 4hrs. Please plan to be at Cancun Airport no later than 4pm on Sat, April 15 to meet the group. We will pick you up at the Cancun Airport. If your travel arrangements do not allow for this, we can help arrange your own transportation at an additional cost. You can contact Michael or Katrina to talk about the The Sol-to-Soul Yoga Retreat, travel plans, or payment plans. You can e-mail us love@karmayogacenter.com or call 720-745-0184.